Lionel Monckton was among the very finest British melodists, ranking as such with the likes of Arthur Sullivan, Eric Coates and Ivor Novello. His music encapsulates the gaiety of the Edwardian age, and it is our great loss that we hear so little of it these days. Born John Lionel Alexander Monckton in London on 18 December 1861, he was the eldest son of Sir John Braddick Monckton, Town Clerk of London, and his wife Maria Louisa, née Long, who later appeared on the London stage as Lady Monckton. Lionel was educated at Charterhouse School and Oriel College, Oxford, and he played a prominent part in the founding of the Oxford University Dramatic Society. He followed his father into the legal profession but simultaneously dabbled in music and theatre criticism. Theatrical interests finally took over, though he was already thirty when he had his first number sung on the West End stage and thirty-three before he really established himself as a song composer for the Gaiety Theatre. The Gaiety productions were inconsequential pieces—not far removed from variety shows, with a rudimentary plot, pretty chorus girls, and catchy tunes. Compared with the burlesques of familiar stories that had previously held the stage there, they featured contemporary settings, fashionable dresses, exotic locations and a younger generation of performers and writers. The audiences of the day loved them, and runs of a year or two (exceptional elsewhere) became the norm. It helped that a show would periodically go into a ‘new edition’ with new numbers to make return visits more worthwhile. In days before radio and television, and when recording and film were in their infancy, the appeal was akin to that of the television soap operas of today. 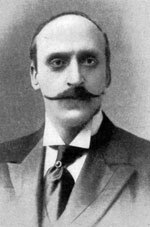 Initially Monckton contributed just a few interpolated numbers for the Gaiety to scores largely by Ivan Caryll (1861–1921). However, Monckton’s always proved the big hit numbers, and soon he achieved increased contribution and equal billing. His importance rose still further when he discovered a future star for the Gaiety in Bradford-born Gertie Millar (1879–1952), whom he married in the autumn of 1902. The run of Caryll and Monckton shows at the Gaiety ran almost without interruption from 1894 until 1910. Meanwhile his superiority of invention also led to him succeeding Sidney Jones (1861–1946) as principal composer for two shows at Daly’s Theatre in 1902 and 1904. Those Daly’s shows were more romantic, structurally more robust, and musically more ambitious. Then, with the Gaiety series coming to an end, Monckton teamed up with Howard Talbot (1865–1928) on a couple of musicals at the Shaftesbury Theatre in 1909 and 1911. Most completely his own were two he composed for the Adelphi Theatre in 1910 and 1912, with his wife as lead. Monckton was an austere-looking individual—very much at odds with the image of his music. Like most theatre composers of his time he used specialist orchestrators to bring his scores to completion. He was, though, often his own lyricist—either in collaboration, alone under his own name, or (for some early songs) under the pseudonym ‘Leslie Mayne’. American ragtime influences had made his style outdated by the time of his death in London on 15 February 1924 at the age of sixty-two. Afterwards Gertie Millar herself joined the aristocracy when she married the Earl of Dudley. Monckton’s music remained much played in Britain until after the Second World War. Then it increasingly became obscured by the taste for American musicals and pop music. His wonderful melodies, though, are surely timeless, and their lyrics remain enjoyable for their period naivety and innocence. A world brightened by Monckton’s music is surely an altogether happier place.